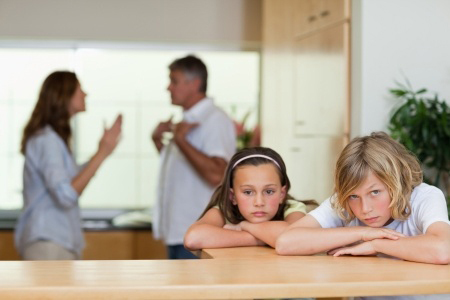 As a child custody attorney I am frequently asked certain questions by parents beginning a custody dispute. In this blog I want to answer just a few of the most common questions. The other parent and I do not have a custody order or agreement, can I take my child out of state? While there is no prohibition on taking a child out of state for vacation or even moving permanently, the best practice is for parties to act as if they are still married or in a relationship when traveling with a child. This means they should keep the other party informed of the location the child will be residing during travel, how long they will be traveling, and with whom. It is also a good idea to remember the jurisdiction wherein the child resided the previous six months will under most circumstances be the jurisdiction where the custody and visitation will be determined. Additionally, a court can order a child to be returned to the state based upon the best interest of the child. A party should keep this in mind when considering a permanent relocation with the child. If the other parent and I have an agreement, do we need to go to court to have an order entered? Unless you hire an attorney to draft an appropriate order for the court and submit the order prior to court, you will need to appear in court and can make your agreement known to the Judge at that time. If you have an agreement and have yet to petition the court for an order, an attorney can handle all of that without either party appearing in court via a Consent Order. Is mediation or arbitration an option for custody and visitation cases? All cases in Virginia require mediation prior to the matter being tried in court. This can be waived; however it is an opportunity to discuss the case with the other party to see what issues can be resolved. Further, while there is not typically arbitration in custody and visitation matters, most courts require a settlement conference prior to trial to include the parties, their counsel, and the Guardian ad litem. What is a Guardian ad litem, and what do they do? The Guardian ad litem (“GAL”) is an attorney licensed in the commonwealth of Virginia who is appointed by the court to represent the interest of the child during custody and visitation matters. The other parent and I can’t agree on anything, is this enough for sole legal custody? There are many factors that go into a court granting sole legal custody to one parent over the other. The inability of two parents to agree on matters effecting the child is not significant enough to grant one parent sole legal custody. Facts which may give rise to an award of sole legal custody include, but are not limited to: habitual drug or alcohol use, abandonment by one parent of contact with the child for a significant period of time, and/or incarceration. The other parent is behind in child support, do I have to allow them visitation? Non-payment of child support is not a basis to withhold visitation. The appropriate remedy is to file a civil show cause for unpaid support. In this blog I have answered some of the common questions presented in custody and visitation matters. For all questions, you should seek the advice of an attorney licensed in the Commonwealth of Virginia. If you have questions concerning your own child custody or visitation matter, feel free to contact Brandon C. Waltrip, or one of the attorneys at Waltrip & Campbell, PC. by filling out the form below or calling our office at (757) 645-9001 to schedule a free consultation to discuss your case.